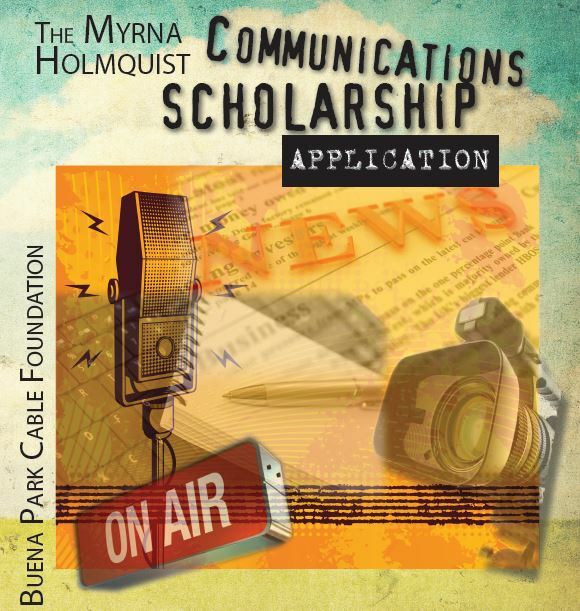 If you're a Buena Park resident with a passion to study Communications, apply for The Myrna Holmquist Communications Scholarship. This scholarship was established by the Buena Park Cable Foundation for individuals who have a career interest in the Communications field and have a sincere desire to apply their knowledge and leadership abilities to a career within the field of Communications. Up to $10,000 in scholarships have been set aside for the program. Each applicant must be a high school senior enrolling in or accepted to an accredited college, or a current college student to apply. Awards will be presented at the Buena Park City Council Meeting on May 14.